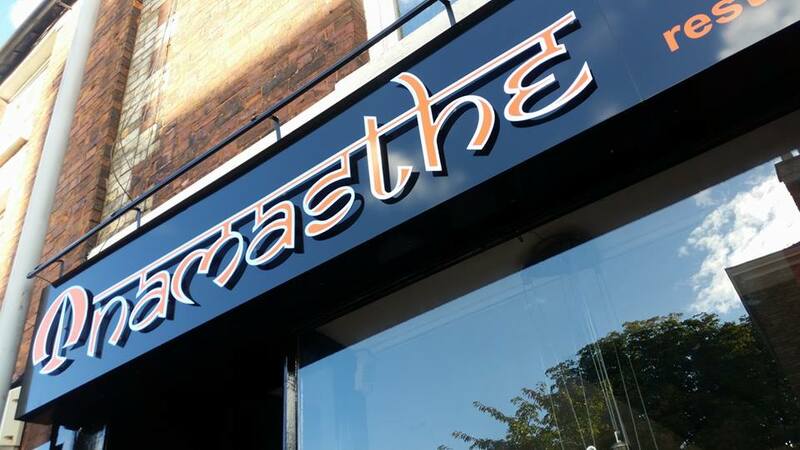 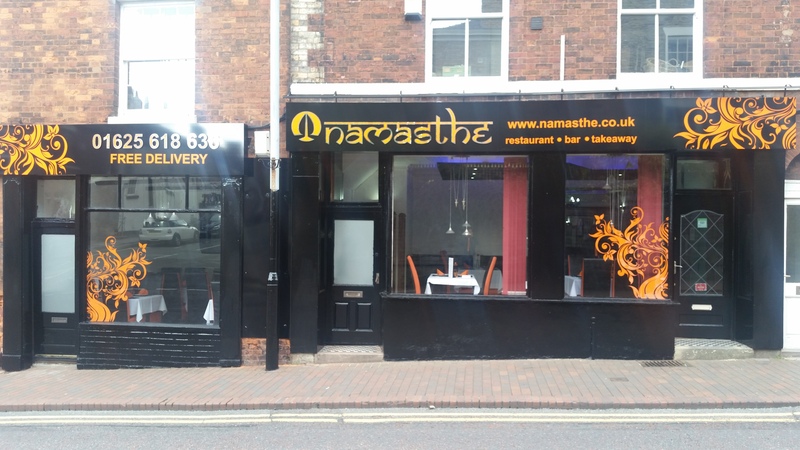 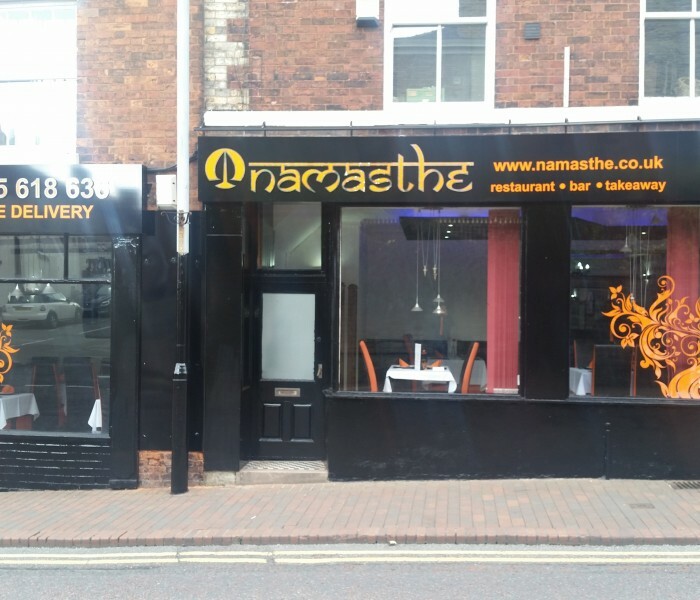 Namasthe – Which means ‘Welcome’ or ‘Greetings’ in the language of India, truly welcomes you to experience our authentic and modern style of cuisine. 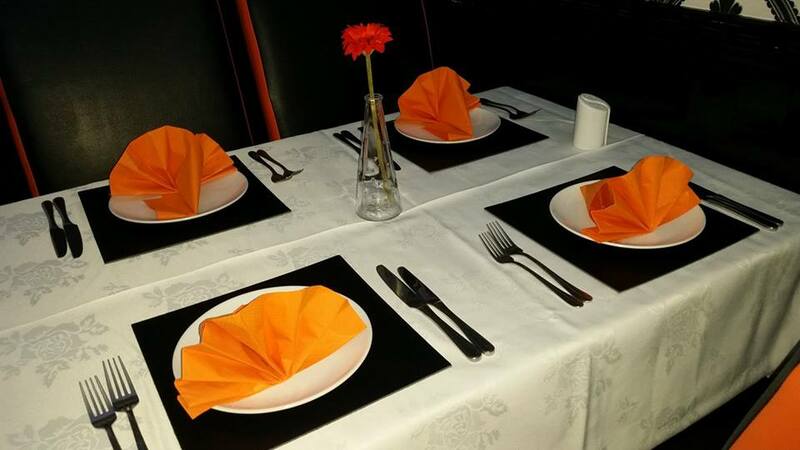 We offer a unique and sensory dining experience built on a belief that our food should be authentic and enlightening. 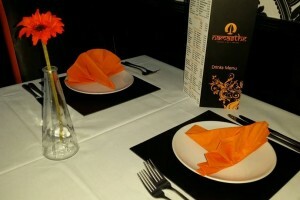 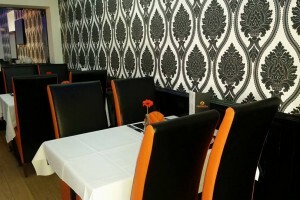 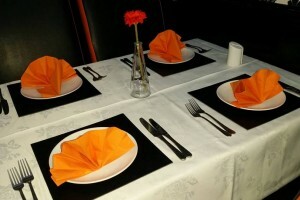 We offer a warm welcome and an excellent service along with luxurious and comfortable surroundings. 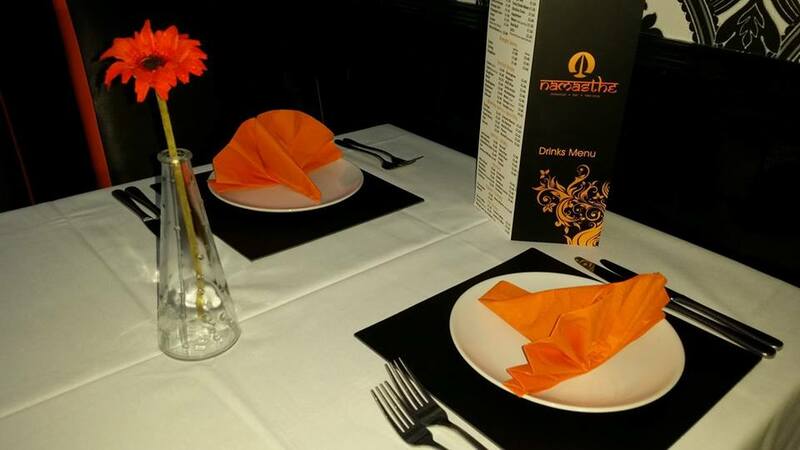 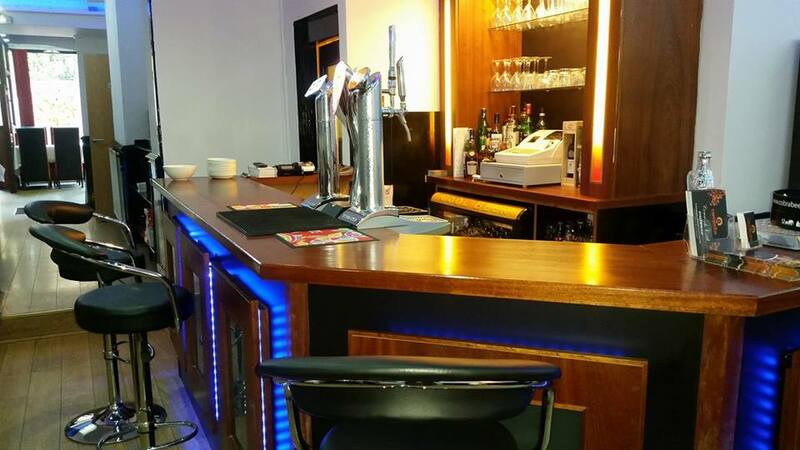 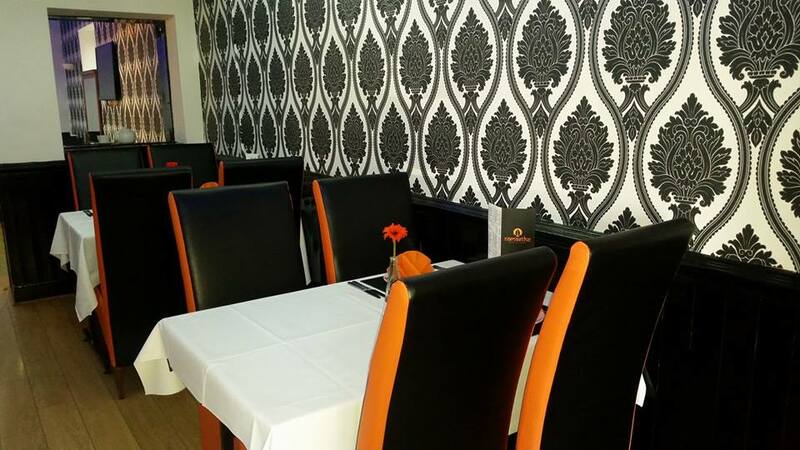 Situated in the popular area of Macclesfield – we are an ideal dining venue for those looking for a delicious meal at an affordable price. 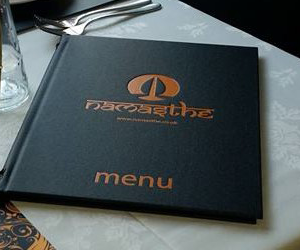 Click the button below to download or view the Dining in menu. 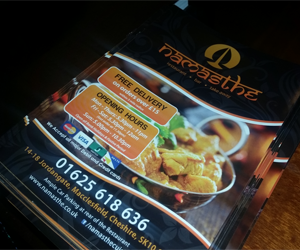 Takeaway Menu is coming soon. 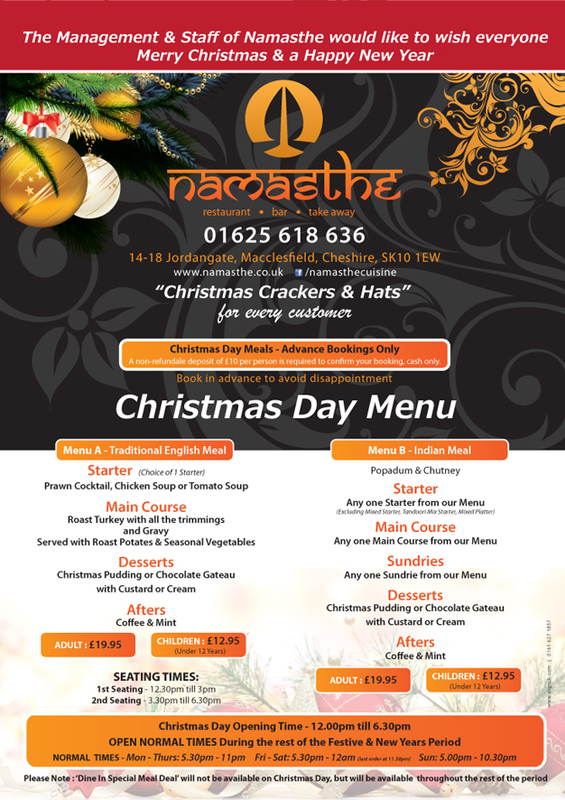 Open all bank holiday and festive period.